Located in scenic Fall's End it has a conveniently located gun and ammo store right across the street. Because nothing mixes better than guns and alcohol. 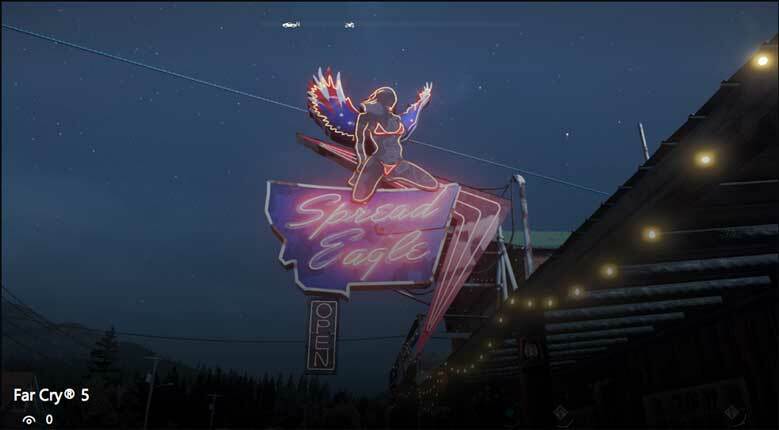 Even in Far Cry 5. 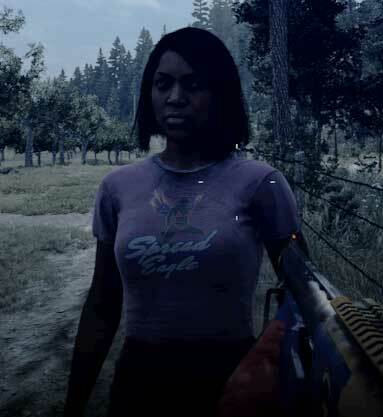 They also sell T-Shirts which I keep seeing around but haven't been able to buy for my character (or in real life). I had to really blow up the gamma on this to make the logo visible. Not sure what was going on. I accept that I will only be able to wear this shirt until Guba sees it. You can credit Q-Bert for this version.